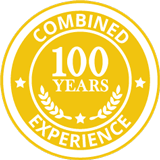 The team at Jay & Rob’s Windscreens Ltd bring a combined 100 years of experience to the glass repair business. From insurance work to fleet servicing, we offer quality work at competitive rates. Based in Bishop’s Stortford and servicing East Hertfordshire & North Essex, we cover a large part of the local area and offer a convenient mobile call out service. Get in touch with Jay & Rob’s Windscreens Ltd today for all your windscreen needs. Based in Bishop’s Stortford, servicing East Hertfordshire & North Essex, we offer fast, efficient insurance work at competitive rates. Get in touch with us on 01279 870 001 now for your windshield requirements.